Tide has been my family’s go-to laundry detergent since I was a young kid but it sure has gone through some changes from then until now. In the 80s, there was only one type that I remember. In the last few years we’ve seen the introduction of Tide Coldwater and Tide Pods as well as other speciality ones. Donating used clothing is another regular part of our lives but there are always people in need of clothes so a Tide truck will be visiting family attraction in Toronto, Vancouver and Montreal to pick up gently used clothing donations for the not-for-profit partner Goodwill. Of course they don’t only want you to donate your old clothing on certain Clothing Donation days but it’s a way to encourage you to go through your clothes and donate. 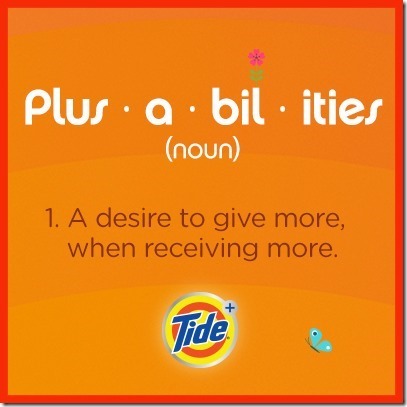 As a thank you for your support you will receive a Tide Plus coupon booklet when you drop off a donation. 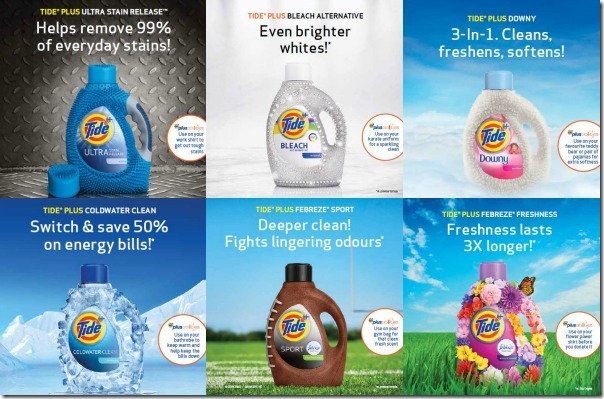 Tide Plus Febreze Sport – the #1 sports detergent that is specially designed for sports apparel now offers a deeper clean and tackles tough stains, while leaving behind the fresh scent of Febreze. Tide Plus Ultra Stain Release – supercharged with specially formulated ingredients to help remove 99% of everyday stains, including greasy food stains. It also boasts the innovative “Zap! Cap,” a unique pretreat cap with scrubbing bristles to provide a deep-down, pre-treat option. The cap features two textures: bristles for deep down scrubbing and a flatter portion to spread the detergent around. Tide Plus Febreze Freshness– Thanks to innovative dual-scent pearl technology, your day will be filled with bursts of freshness that activate with your movement for 3x longer-lasting scent! Tide Plus A Touch of Downy – formulated with special ingredients that provide softening benefits throughout the wash and includes scent pearls for a comforting, long-lasting scent and fresher clean. 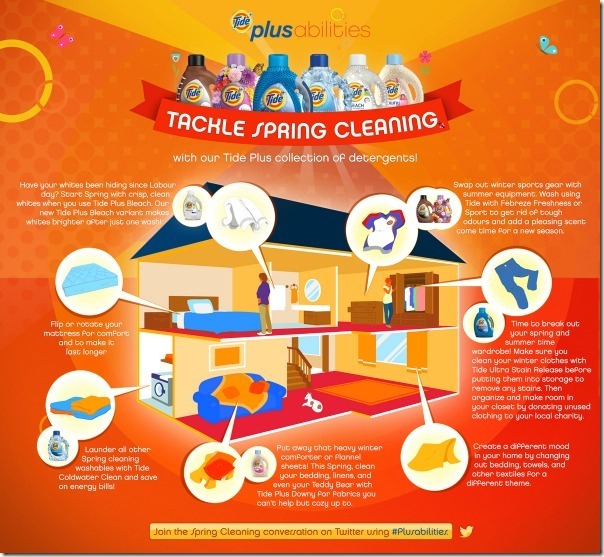 I have an infographic for you to show how you can use the different Tide Plus products to help with your Spring Cleaning. You can click on the image below to see it full size. 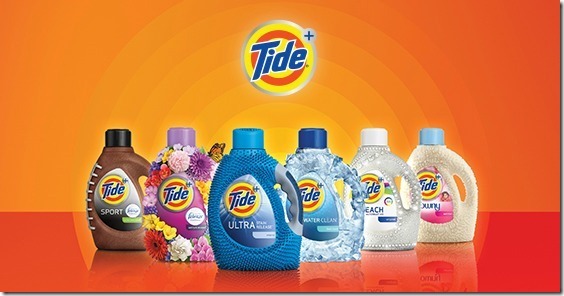 Also check out this coupon for $1.00 off your next Tide Plus purchase. If you use Tide or have tried a Tide Plus product I’d love to hear about it. You can connect with Tide on Facebook if you wish too.